PC101 should successfully access Server 1 behind SW1. 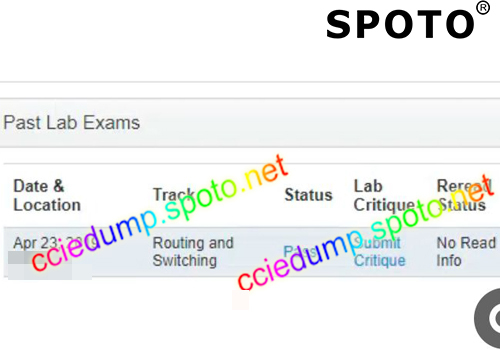 PC101 cannot access R7/R8, fix the problem so that PC101 can ping R7. R17 should have one default route which points to R12 via PPP as shown below. When R1 tries to access the network 123.45.67.48/29, which is between R21 and R22, the traffic should be load balanced as shown in the exhibit. R7 and R8 are configured as backbone for VPN network. 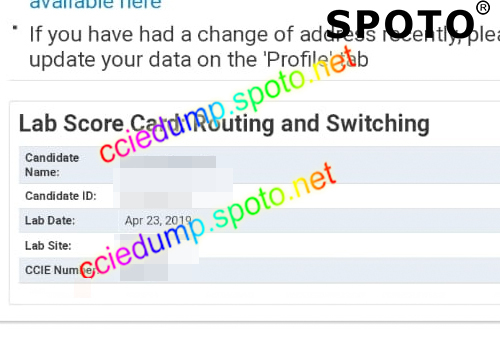 R9, R10, PC 104 and PC 106 are VPN clients. ensure that the output matches the following exibit. There is DMVPN configured between R7 (Hub) and R24 (Spoke) via Nat Network (R23). R21 should manage NAS via telnet. Fix the problem so that telnet to NAS is successful as shown in exibit. Customer just setup a IPv6 Network, with HSRPv6 on R1 & R2. After setting up, all hosts lose connection. What would you recommend to your L1 Engineer as a Quick Fix? host had the default route FE80::666. Customer just setup a lPv6 Network, with HSRPv6 onR1 & R2. Q1:What would you recommend to your L1 Engineer as a Quick Fix? 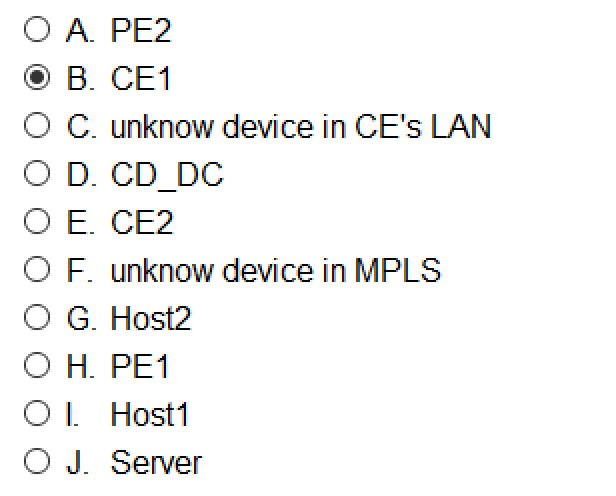 Q2:You will ask what to your engineer? Q3:How to deal with current issues temporary? The following requirements were pre-configured. VTP is turned off in all switches. 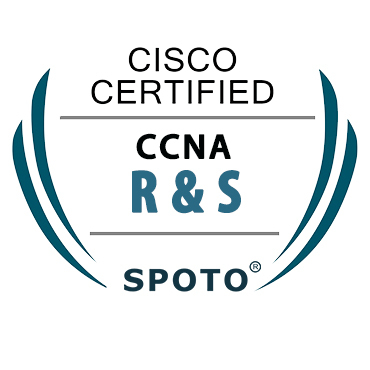 All required VLAN, including access-ports configuration in all relevant switches are provisioned. All required SVI interfaces in all relevant switches (including IP address and subnet mask) are provisioned. Access-ports must immediately transition to the forwarding state upon link up, as long as they do not receive a BPDU. Use the minimal number of commands per switch to enable this feature. If an access-port receives a BPDU, it must automatically shutdown. Use the minimal number of commands per switch to enable this feature. Ports that were shutdown must attempt to automatically recover after 10 minutes. 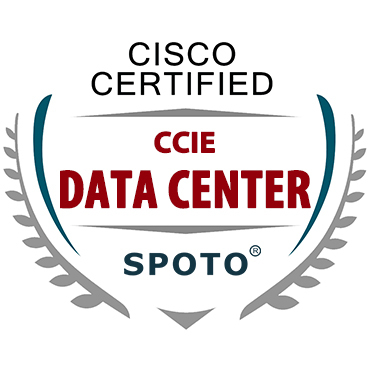 None of the switches may generate a TC when any of access ports goes down. All trunks must always use dot1Q encapsulation. Negotiation of trunking protocol must be disabled in all switches. 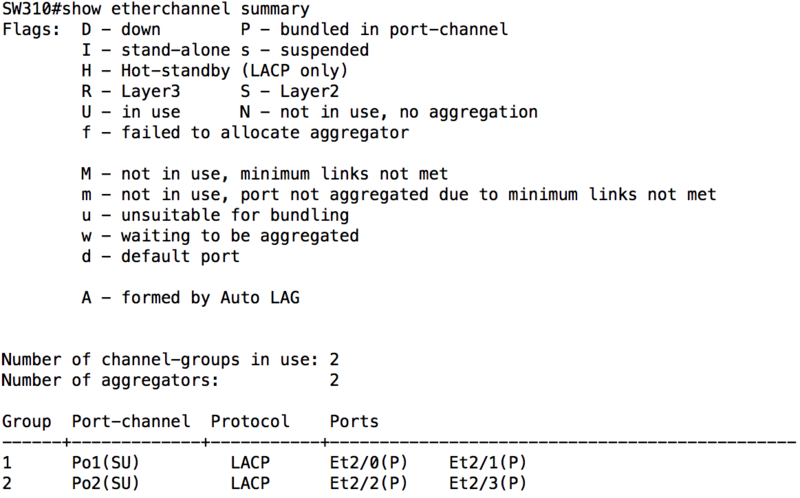 Distribution switches (SW300, SW301, SW400, SW401, SW500, SW501) must initiate etherchannel negotiation using LACP. 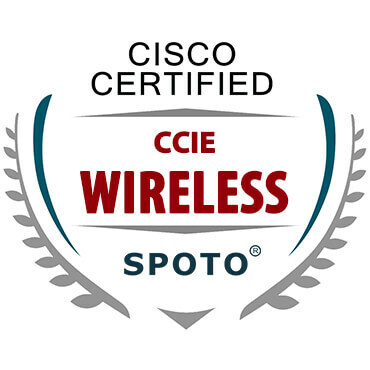 Access switches (SW310, SW410, SW510) must never initiate etherchannel negotiation. 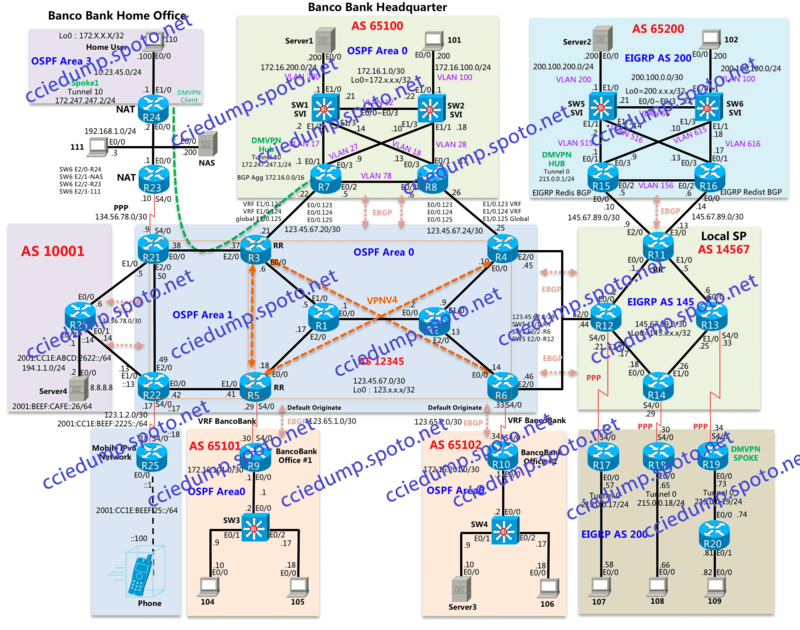 Configure layer 2 etherchannels’ number as shown in the “Diagram 1: Main topology” and “Diagram 5: Layer 2 Connections” (that is, use only Po1 and/or Po2). Ensure that all ports included in etherchannels are effectively in use and bundled in the expected channel. Both gateway routers of the headquarters network must always advertise a default route into the OSPF domain. All four devices produce the exact same output as shown below. Everything must match, except the “Dead Time” counters and line order. R14 must be configured as the DMVPN hub router. R51 and R60 must be the DMVPN spoke routers. 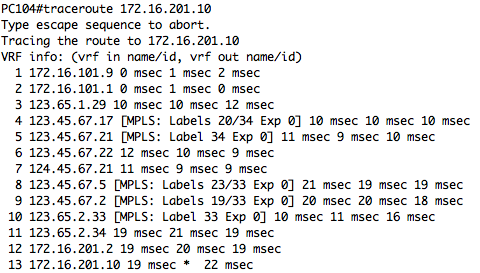 NHRP must be allowed to properly populate routing tables on spoke routers, on an on-demand basis. 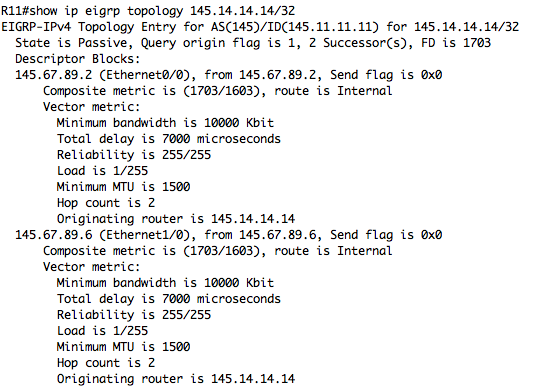 Both spoke routers must receive a default route from the ISP#1 via BGP and must install it into their VRF INTERNET. Protect the tunneled traffic by attaching the preconfigured IPsec profile to the tunnel interface on all tunnel end-points. Use the preconfigured interface Tunnel 0 on all three routers in order to accomplish this task. 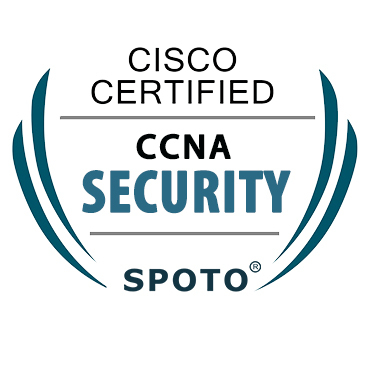 The hub must be configured in a way that does not require any additional configuration if new spokes in the same subnet were added to the network. 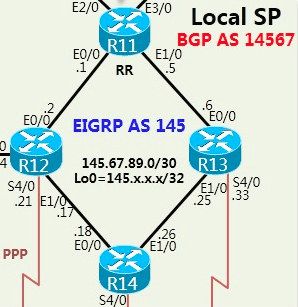 All BGP peerings between the hub and any spoke must be established between AS 65001 and AS 65100. Both spokes must receive the aggregate prefixes (10.x.0.0/16) for all corporate sites from R14. Both spokes must not receive any other prefixes in 10.0.0.0/8 from R14. Do not remove any existing configuration on R14, R51 and R60. 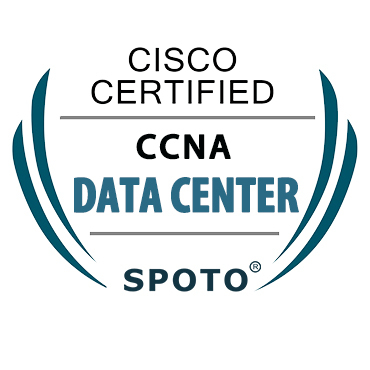 The network architect decided to secure the datacenter #1 VLAN 2001 against unwanted or rogue Router Advertisement (RA) messages in order to ensure that SW111 is always selected as the default router by any host that is located in VLAN 2001. SW111 must analyze all RAs received on any ports of VLAN 2001 (including Eth0/0, Eth0/1, Eth0/2, Eth0/3) and it must filter out RAs that are sent by unauthorized devices. SW111 must sent its own RA with the Default Router Preference（DRP）bits set to “high”. You are not allowed RA with more than 2 Hop. 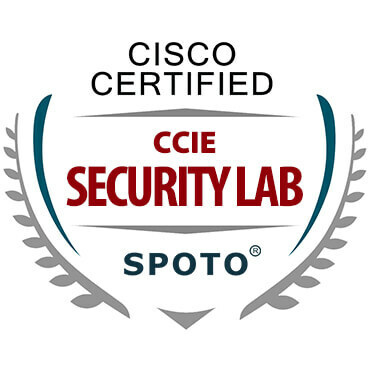 The network architect requires the link with partner #1 (connected to R42 in the large office) to be secured against spoofing attacks. 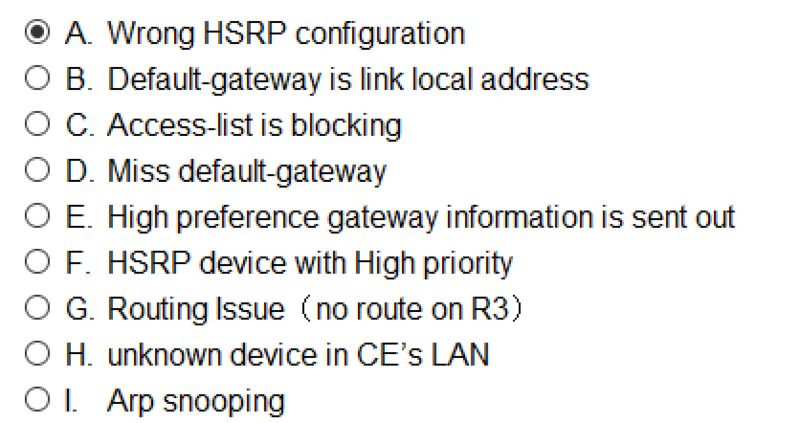 R42 must drop traffic received from the partner if the source IP address is not reachable via its interface e1/0. No additional configuration must be required if any new prefix is received from the partner #1. Do not configure any access-list in order to achieve the previous requirements. SW200 is experiencing high CPU when a Network Management System (“NMS”, located in the datacenter #1) polls its dot1dBridge MIB. Exclude the dot1dBridge MIB from the available MIBS all other MIB supported by SW200 must still be available to the NMS. 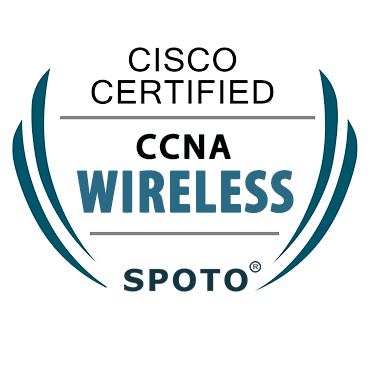 SW200 must ignore SNMP v1 requests for that community and must respond to SNMP v2c requests. 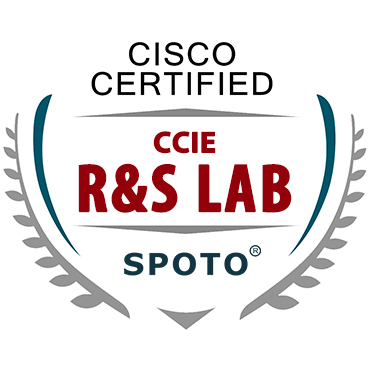 You can complete CCIE R&S Lab online training within 12 weeks if you practice lab materials 3 hours per day. Tutors and services will assist you along the whole preparation. 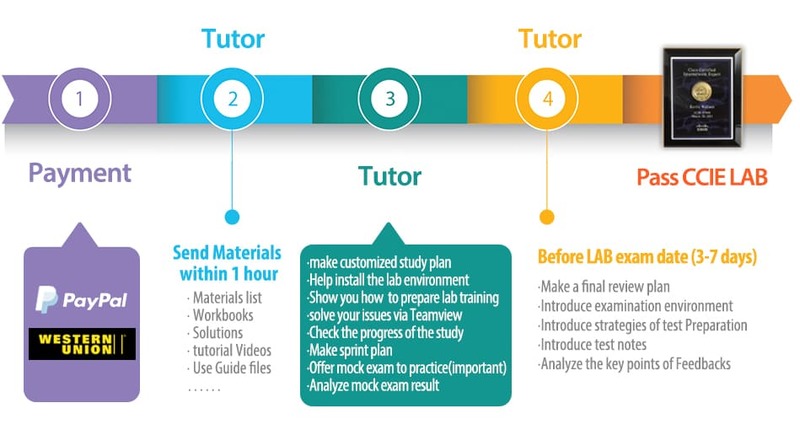 Every module we do provide workbooks, solutions, and videos tutorial. You can watch videos first, and practice materials. 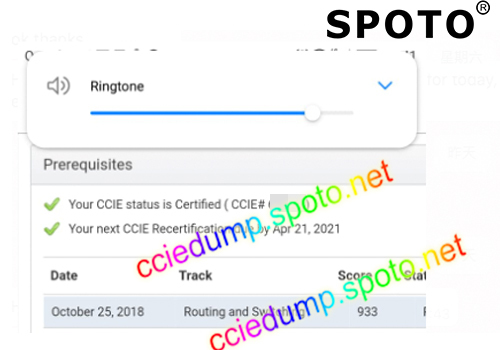 How soon can I receive the CCIE R&S Lab v5.0 materials? When can I access R&S H3 server to practice H3 CFG and TS2 BT1? 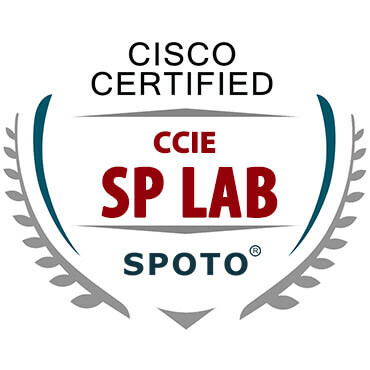 1、If this is your first attempt on the lab exam, we highly recommend that you read the CCIE R&S Lab v5.0 study plan. Complete other CFG and TS on your laptop first. 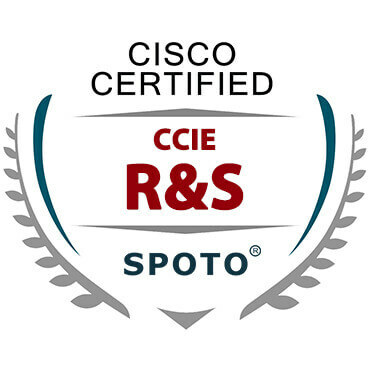 2、If you already attempted before, we suggest you try to pass our virtual exam (contact our tutor for access) before scheduling your CCIE R&S LAB Exam date and start practicing H3 CFG. 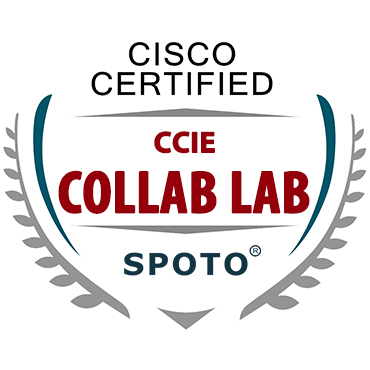 How many remote lab hours are included for H3 CFG and TS2 BT1? Up to 200 hours within your service period. 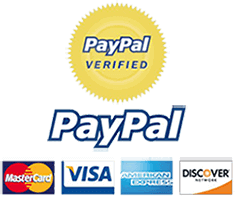 You can purchase additional hours at USD$ 200 per 40 hours within your service period. Please contact our tutor for server hour suspension. When can I access DIAG server? 10 days before your exam during your service period. Please contact our tutor to authorize your access. But You will need provide schedule screenshot (OLSM website screenshot) or payment invoice. 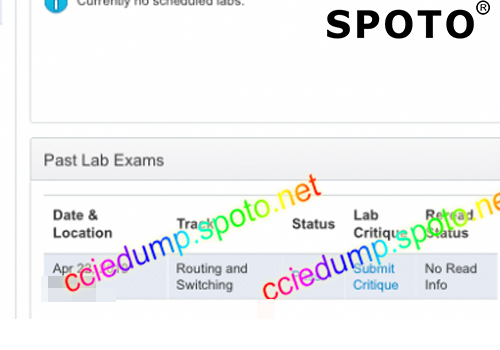 What kind of PC do I need to prepare the CCIE R&S Lab exam v5.0? Our standard service period is 5 months. 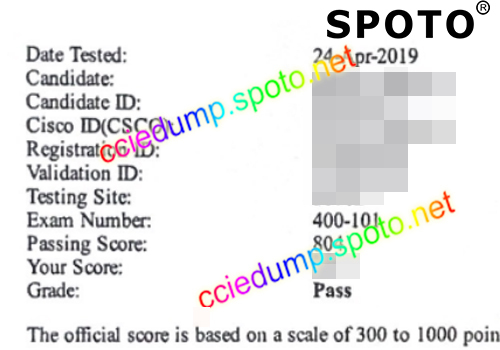 In case you failed your first LAB-attempt within our standard 5 months, we will extend it to 6 months free of charge providing that you send us prove of your first failure, such as result screenshots with your full name on it. Please note we will stop all your services 3 days after your exam date if we were not notified of your free extension request. You can also purchase additional month at USD $400 per month for a maximum of 4 additional months. You must apply within 2 months after your original service period expired, otherwise you have to re-purchase our standard service. In case you need a break during your service period, you can apply for account suspension for a minimal of 7 days. Please contact our tutor for any extension and suspension request. 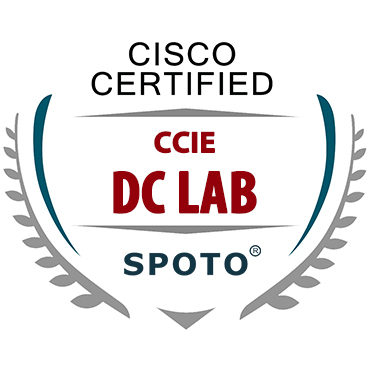 We make sure you will receive updated information and materials of CCIE R&S Lab exam as soon as we learned any changes to the exam. 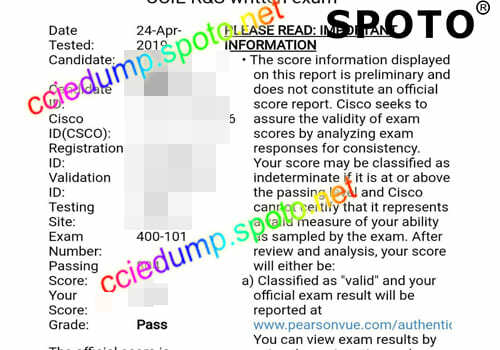 In case we learned any major changes happened during your service period, your remaining service period will be calculated from the date we learned the exam becomes stable again. Matched mac address on SW and PC. Wrong mask length on R22. Tunnel 10 had ospf broadcast. 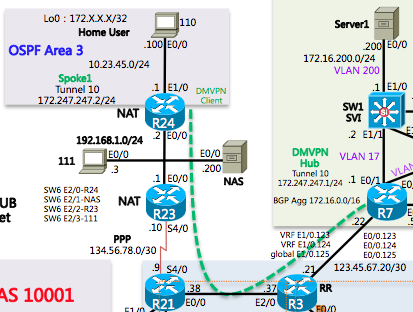 R24 e2/0 had IP of NAS as secondary IP. Removed secondary IP. 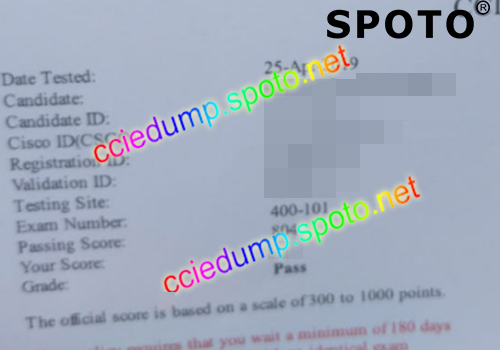 H2- Same as spoto but each questions had more options than what we had on RDP. 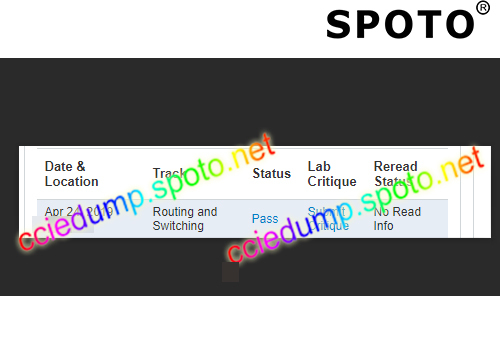 2.10 &2.11 - Mutlicasting is same as spoto but ip multicast-routing is not enabled on all devices. It took some time to see things stable. 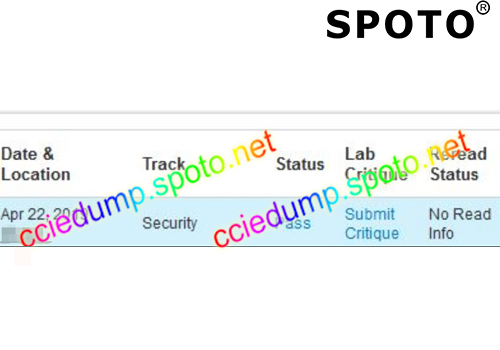 3.2 Same as spoto. Crypto was not configured properly on R51 & R60. Matched it with R14. 10) ip dhcp client-id int eth0/0 missing. - use diagrams to proof check requirements. -cannot right click to paste config..i use shift+insert...waste time to right click and click again space. - R15: incorret host entry "user1spoke2"
- R8: interface E0/0.125 missing "ip nat inside"
- Crypto config mismatch between R7 and R24. I copied everything from R7 and past it to R24. Ticket 10: - R24: E0/0 Secondary IP address duplicated with NAS IP address. - HSRPv6 + Multicast: The same as Spoto including packet sequence number in packet capture. Overal it was very similar to Spoto. Only minor differences. A lot of configuration has been pre-configured. 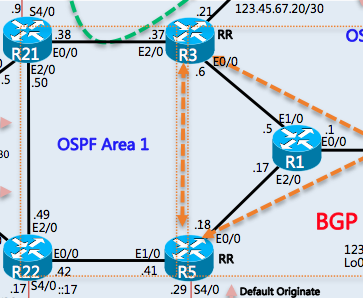 2.2 - OSPF already pre-configured. Only Lo1 on SW100 and Sw101 missing. There was strange interface Lo2001 with IP address 10.255.X.X on either SW110 or SW111. I do not remember anymore which switch it was. 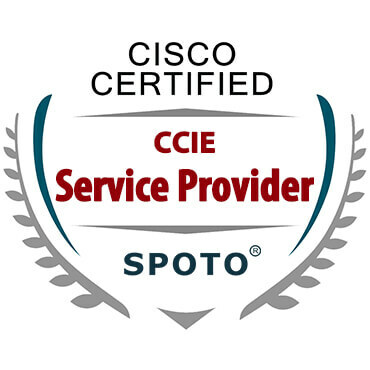 I advertised it to OSPF anyway, but I guess it is not necessary. Passive interface was not configured in SW110/SW110. 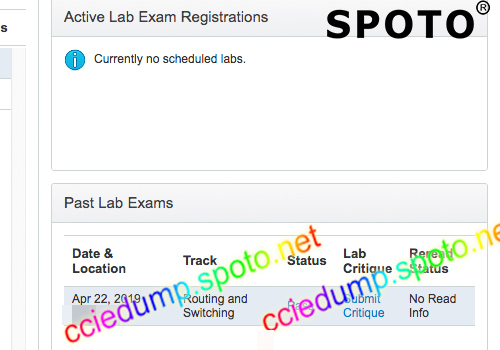 2.3 - Same as Spoto. Only difference. 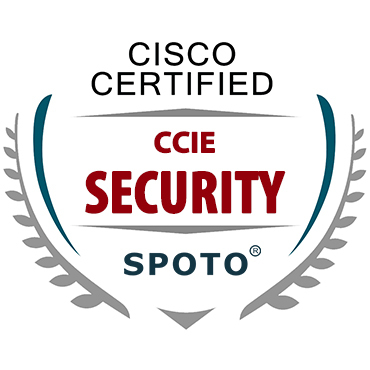 The OSPF process ID was 2 and not 10. Also, there is no access R100. 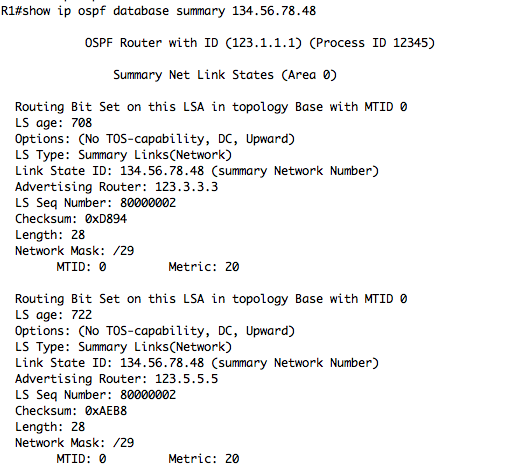 They explicitly asked: Confirm desired output from OSPF database on R42. 3.1 - Loopback IPs are different. 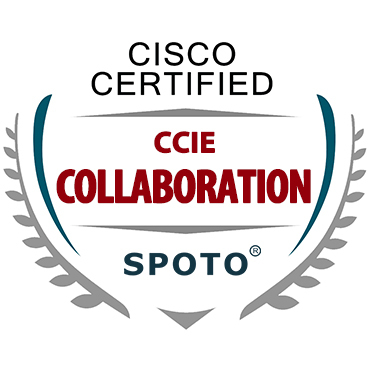 For example 100.3.3.3 while Spoto has 100.0.0.3. RD and RT import/export has to be configured. Rest is the same. 3.2 - Partially preconfigured. crypto keyring missing on R60 and R51. 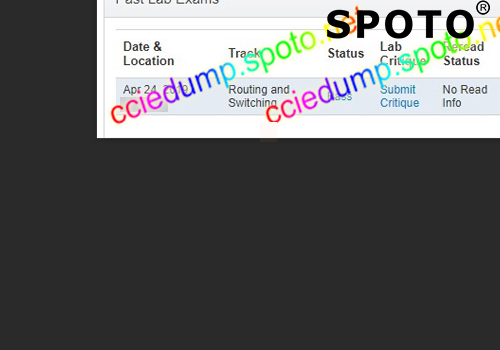 3.4 - Same as Spoto. I copied ipsec related configuration from R24 and modified it for R71. NAT was already pre-configured. 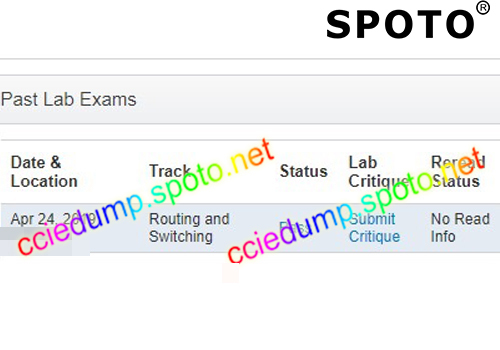 5.1 - Same as Spoto. I configured EEM as well. Yes this question and demo are really works I gave this exam . 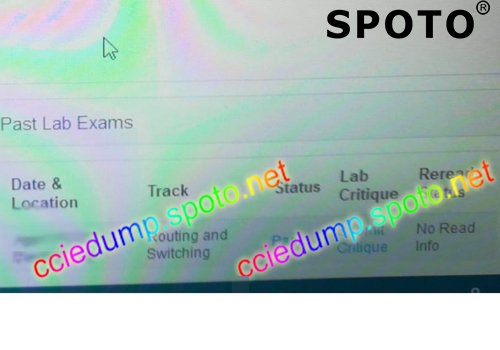 it fully support thanks exam collection and examwork. There were many questions from this on the test. it was helpful. Thanks very much. 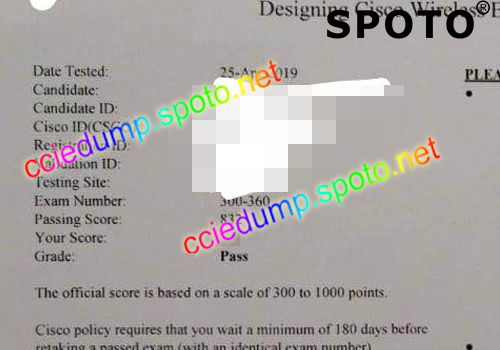 i have passed my exam with a score 988/1000. thank you very much.